1969. It was a time of empowerment. Blacks. Women. College students. The disabled. LGBTQ. Migrant laborers. On December 11, 1965, high school student Christopher Eckhardt held a meeting with a group of students at his Des Moines, Iowa home. 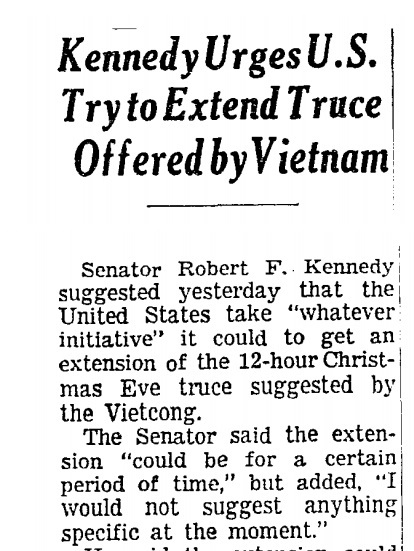 The group decided to wear black armbands in school on December 16 as both a Vietnam War protest and in support of Robert F Kennedy’s proposed extension of a truce the Viet Cong proposed truce on Christmas Eve. 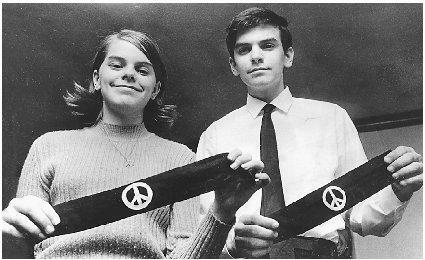 The student would keep wearing the bands until January 1, 1966. 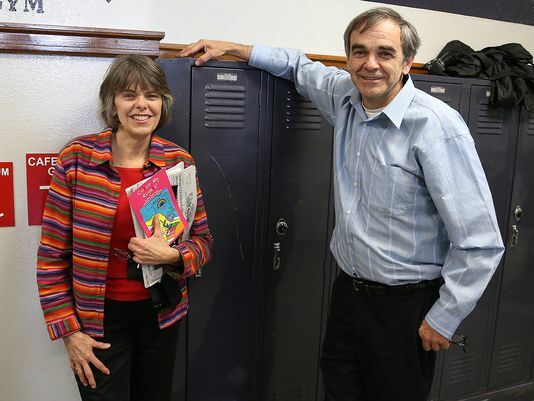 Principals of the Des Moines schools learned of the plan and on December 14, 1965, adopted a policy that required any student wearing an armband in school to remove it. Any student who refused would be suspended until they agreed to comply. 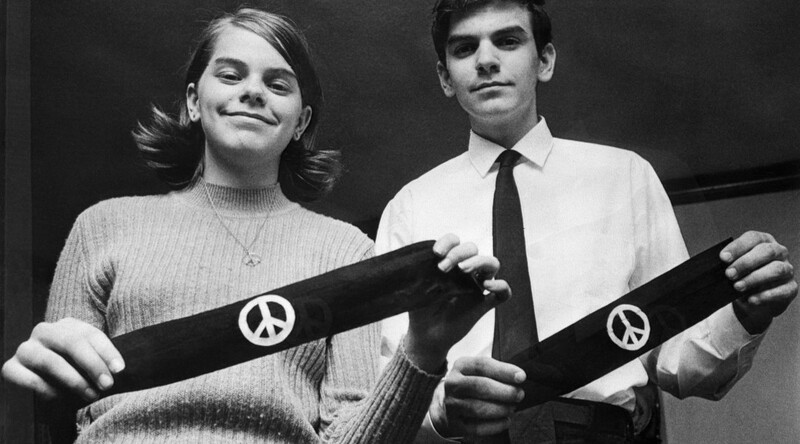 On December 16, 1965, Chrisopher Eckhardt (16), Mary Beth Tinker (13) and her siblings, Hope (11) and Paul (8) wore black armbands. Christopher and Mary were suspended. The two younger students were not. Mary Beth’s brother, John Tinker (15), was suspended for doing the same on the following day. Christopher Eckhardt: I wore the black armband over a camel-colored jacket. The captain of the football team attempted to rip it off. I turned myself in to the principal’s office where the vice principal asked if ‘I wanted a busted nose.’ He said seniors wouldn’t like the armband. Tears welled up in my eyes because I was afraid of violence. He called my mom to get her to ask me to take the armband off. Then he called a school counselor in. The counselor asked if I wanted to go to college, and said that colleges didn’t accept protesters. She said I would probably need to look for a new high school if I didn’t take the armband off. The Iowa Civil Liberties Union approached the families and the ACLU agreed to help the family with a lawsuit. 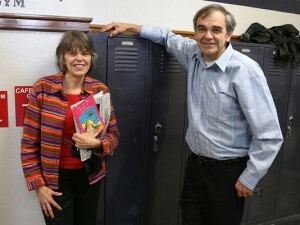 The Tinker and Eckhardts filed suit in U.S. District Court which upheld the board’s decision. A tie vote in the U.S. Court of Appeals for the 8th Circuit meant that the U.S. District Court’s decision continued to stand. The Tinkers and Eckhardts to appealed to the Supreme Court. The case was argued before the court on November 12, 1968. 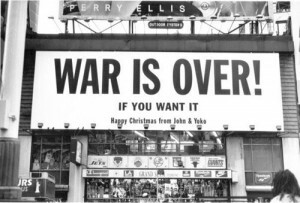 Appropriately, on December 16, 1969, John Lennon and Yoko Ono put up eleven billboards in major cities worldwide with the slogan: War Is Over! 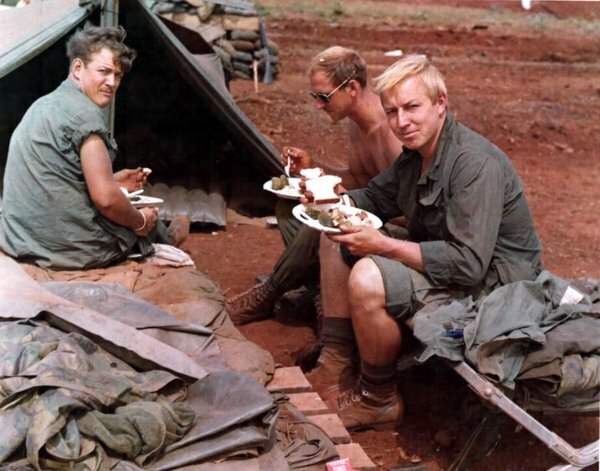 L-R: PFC Victor R. Sheets; SP4 Jim L. Barstad; and SP4 Clint R. Bath of D Co., 12th Inf Regt., 3rd Bde, 4th Inf Div, enjoy their Thanksgiving Day dinner at LZ St. George. 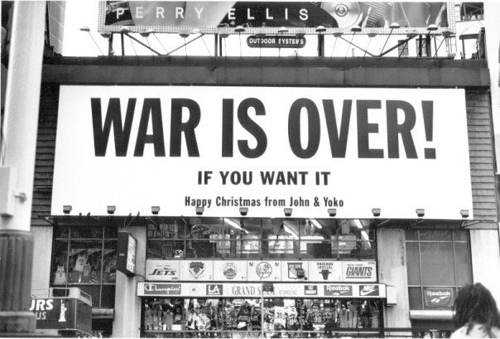 27 November 69. An American military presence in Vietnam began in 1950 under President Truman. 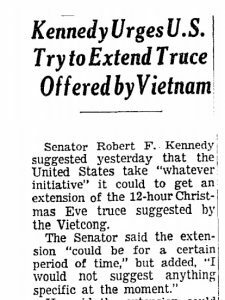 Four days after the assassination of President Kennedy, on Tuesday 26 November 1963, President Lyndon B. Johnson’s new administration reaffirmed the U.S. commitment to the Republic of Vietnam. The American public’s conception of the war did not began in August 1964 when naval attacks by the North Vietnamese was reported and on August 7 the U.S. congress passed the Gulf of Tonkin Resolution, giving President Johnson the power to take whatever actions he saw necessary to defend southeast Asia. In 2003, the documentary “Fog of War” was released. In it, President Johnson’s Secretary of Defense admitted that there was no actual second attack. In any case, as you can see, following the Gulf of Tonkin Resolution, the American presence in Vietnam, and the resulting casualties, increased dramatically. 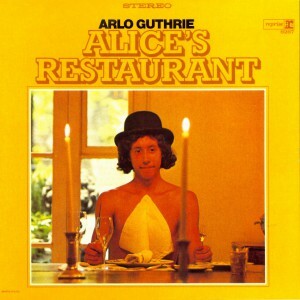 The day after Thanksgiving 1965, Friday 26 November, Great Barrington police arrested Arlo Guthrie for littering in the nearby town of Stockbridge, MA. 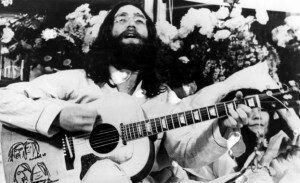 The resulting adventure would be immortalized in his song “Alice’s Restaurant,” one of the most influential protest songs of that era. By the mid-60s’ Beatlemania was gone, but individual Beatles still had an impact. On November 26, 1969, the day before the American Thanksgiving celebration, John Lennon returned his MBE to the Queen as an act of protest against the Vietnam war. I am returning my Member of the British Empire as a protest against Britain’s involvement in the Nigeria-Biafra thing, against our support of America in Vietnam and against ‘Cold Turkey’ slipping down the charts.